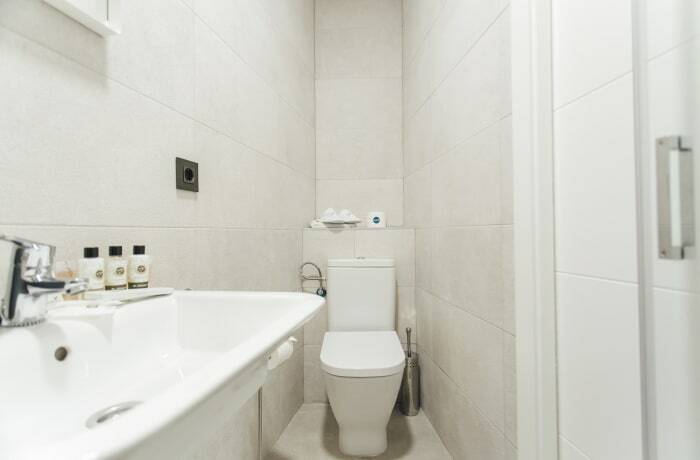 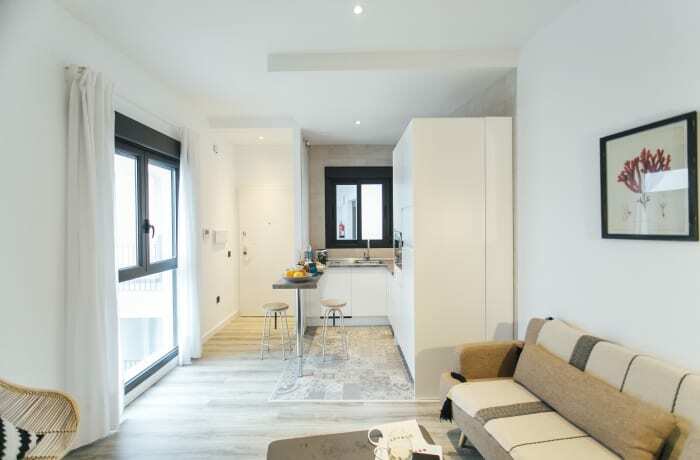 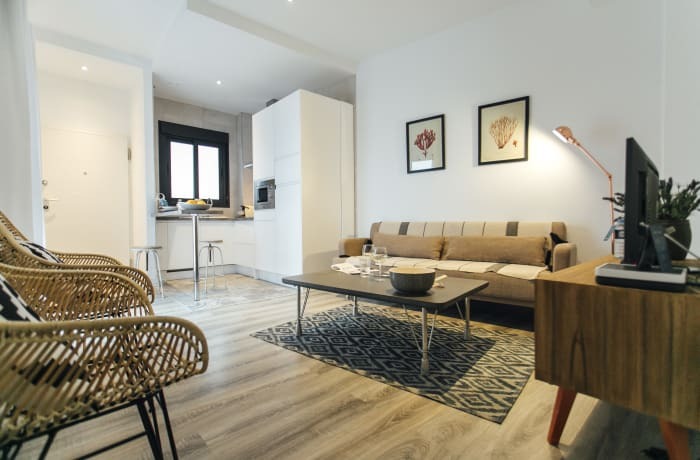 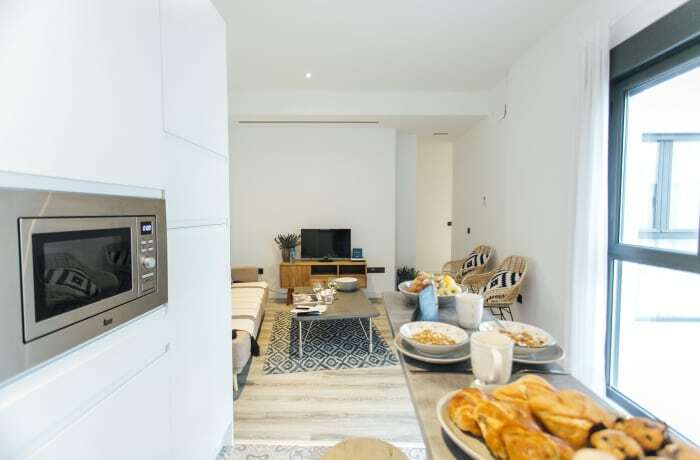 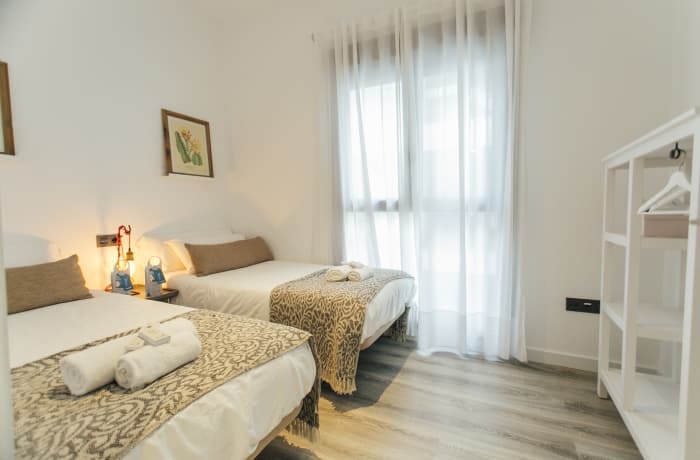 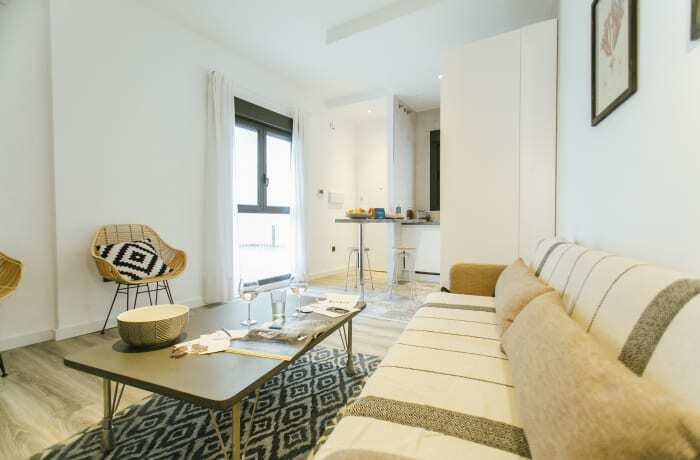 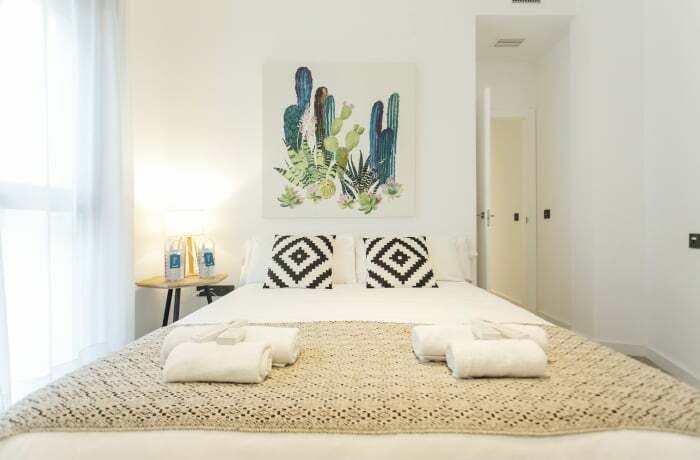 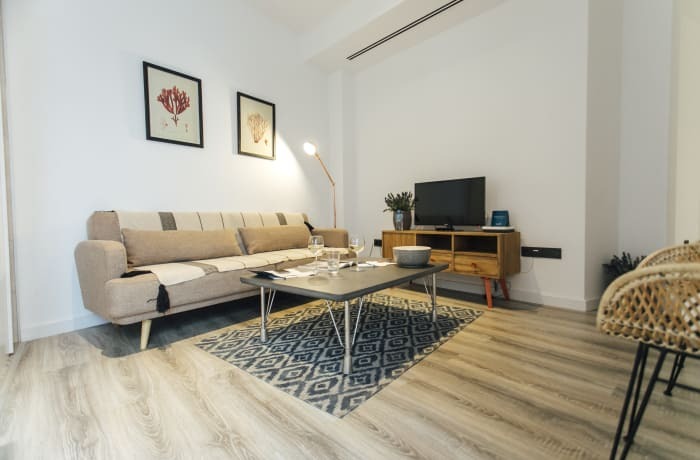 The modern Aguilas 2 bedroom vacation apartment in the heart of the city center in Seville is the perfect choice for exploring the stunning sights nearby. 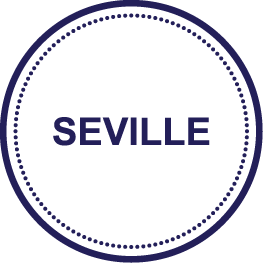 Just steps away you’ll find many of the city’s most famous architectural wonders, including the San Leandro Convent (5 min), the Seville Cathedral (15 min) and the beautiful Real de Alcazares de Sevilla (15 min). 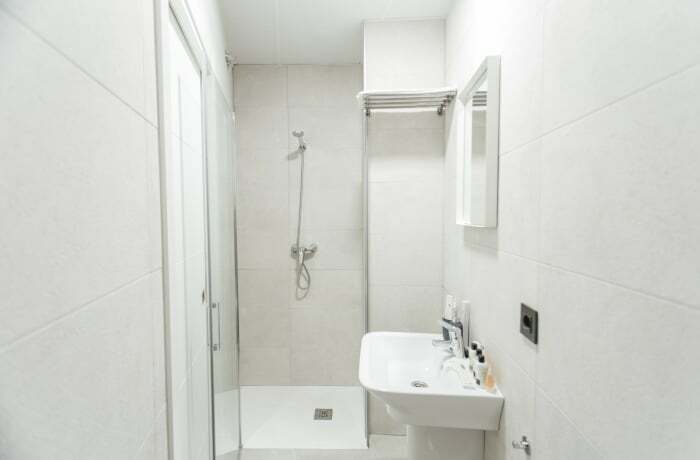 For trips further away, there are several large bus stations nearby (10 min). 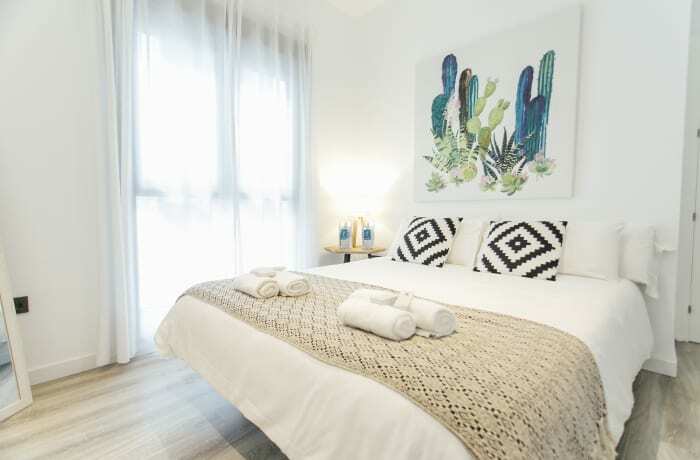 Our local interior designers have paid special attention to creating a warm atmosphere in this cosy 2 bedroom --splashes of vibrant color give the soft atmosphere an artistic flare. 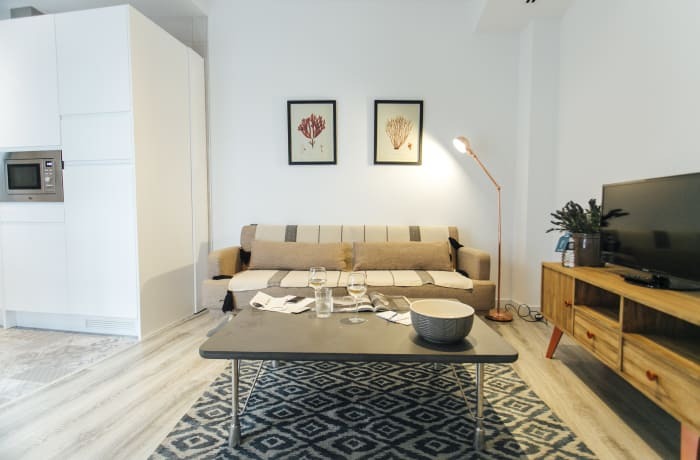 Hardwood floors, minimalist furniture and attention to detail give the space a comfortable, modern appeal. 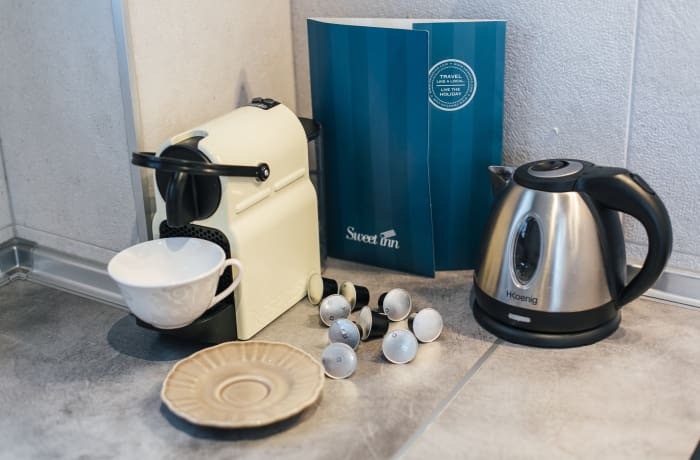 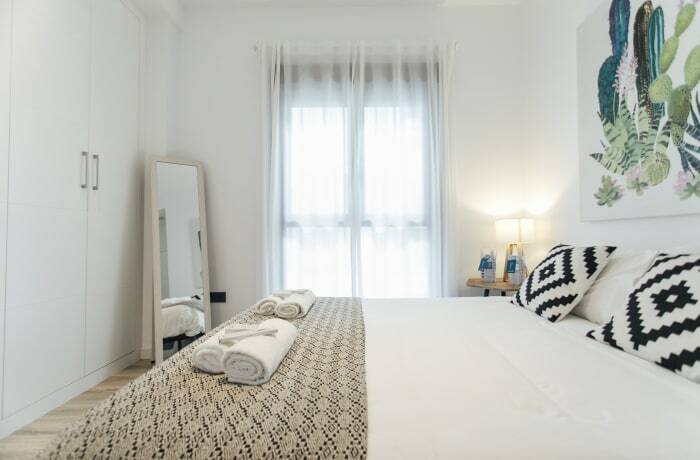 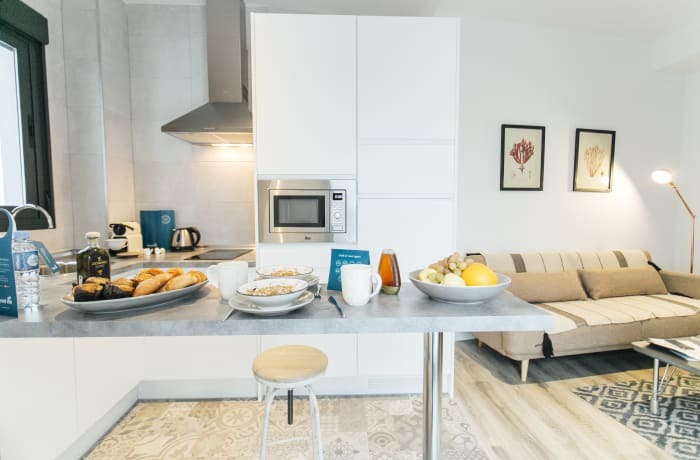 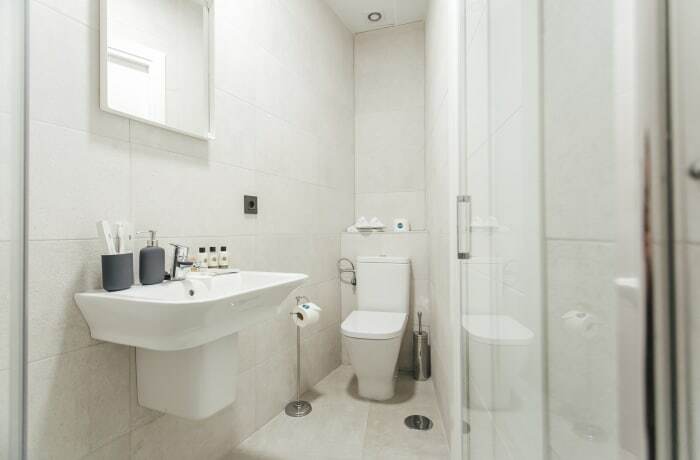 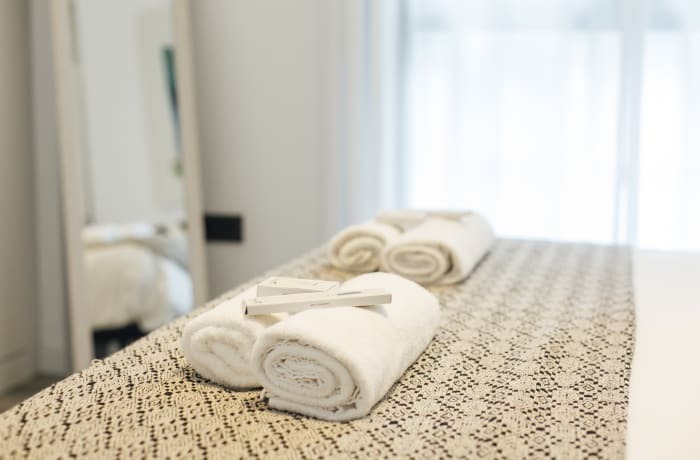 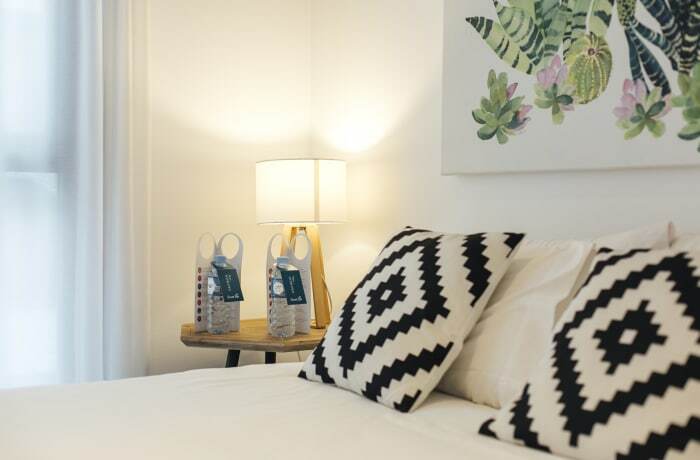 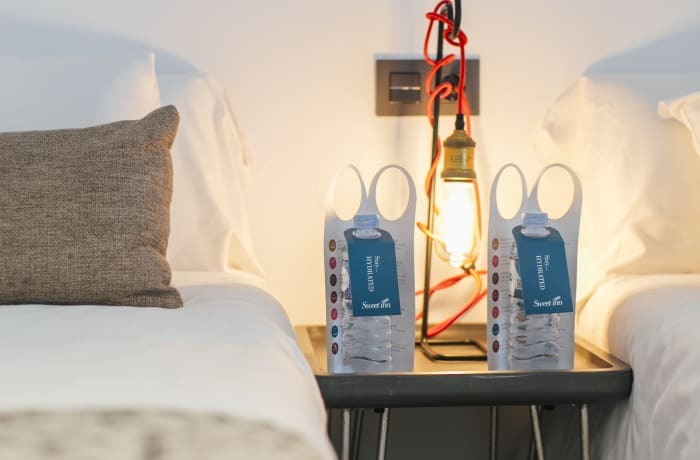 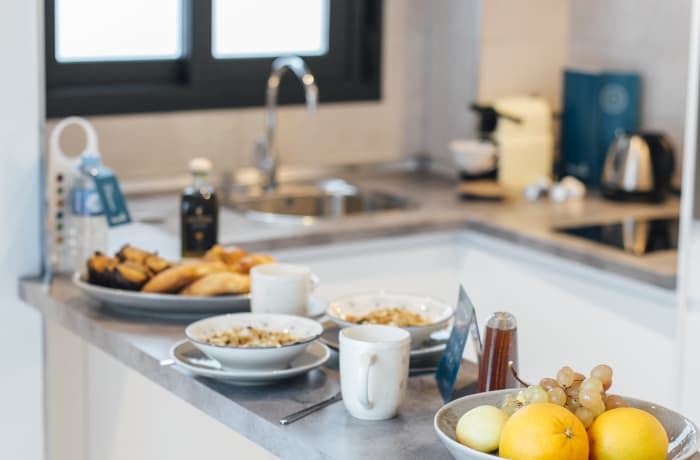 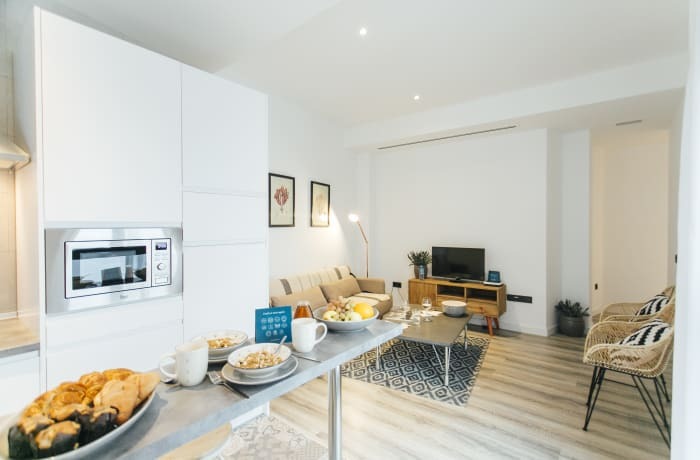 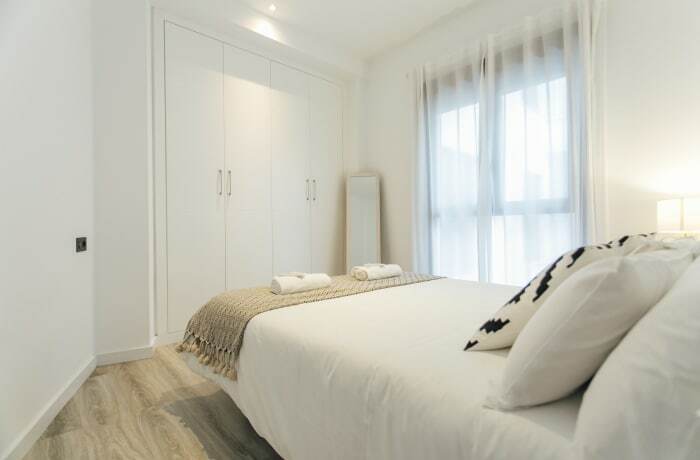 With 2 high-quality beds (a queen and 2 twins), the apartment can sleep up to 5 guests comfortably.Premium amenities include free WiFi, cable TV, hotel beds and linens, luxury toiletries, and a Nespresso machine. 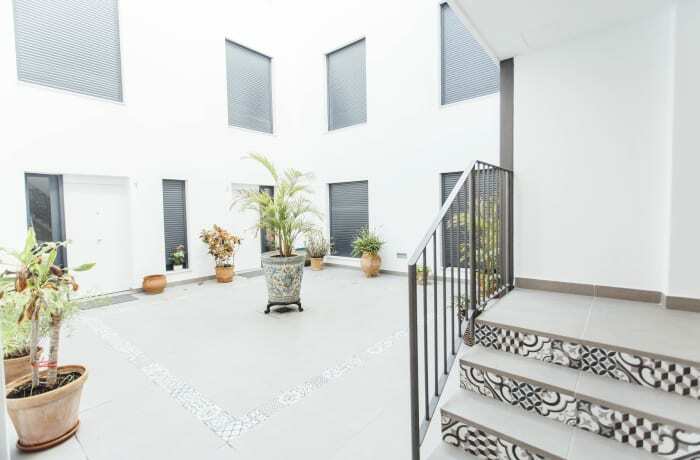 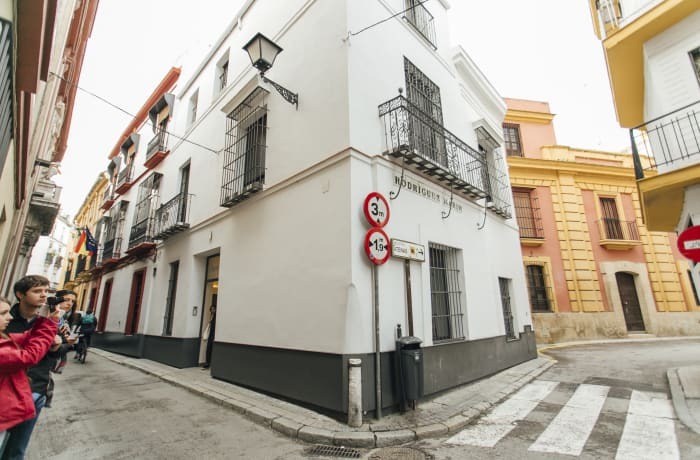 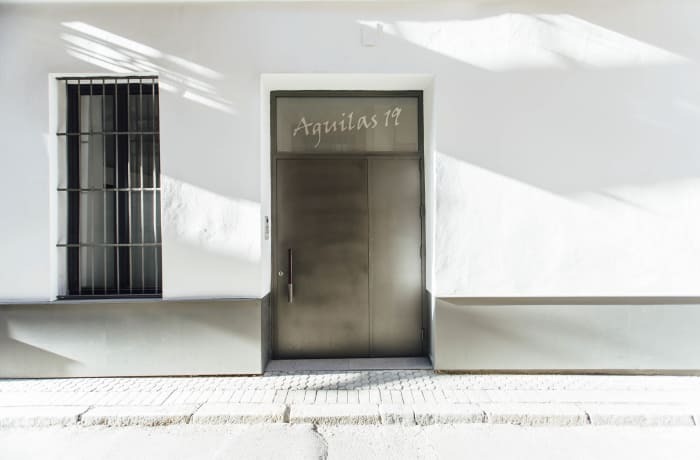 Perfect for families and small groups of friends seeking a bright modern space to call home in the center of Seville.